This project originally came from a Linkup Protocol used by several individuals and disaster preparedness Retreat Groups to be used in case of a real-world emergency when normal communications are unavailable. Since the average citizen is NOT an Amateur Radio operator, we wanted to have a standardized method of being able to communicate with one another. Nearly everyone in our circle had at least one form of communication requiring no license to operate, such as CB, FRS/GMRS, or MURS radios. Because this link-up protocol is being distributed amoung various circles, if someone needed assistance they had the highest probability of linking up with someone of like-mind, even if the two parties did not personally know each other prior that moment. “This is AmRRON Tango Six Seven.” *If you do not have an ARN Call Sign, then your call sign is “AmRRON…” and the initials of your first and last name (or just your last name). Example: “This is AmRRON JULIET SIERRA” (if you do not know the phonetic alphabet, you could simply say “This is AmRRON J.S.”) Just get the job done. 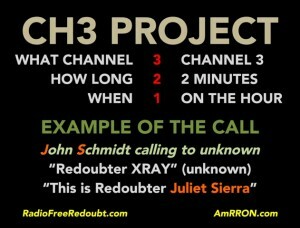 If there is a real emergency, you could also monitor CH3 to give assistance to others in need. To save batteries, monitor for 5 minutes on each side of the hour, to increase the chances of hearing another “Redoubter” who may be communicating using the “Make Contact In 3-2-1” method. Remember, when making contact with someone you don’t know, always proceed with caution. Full Communications Plan is available in the S.O.I. for your communications binder! If you are a newbie, read our post “Prepper Radio Communication 101”. 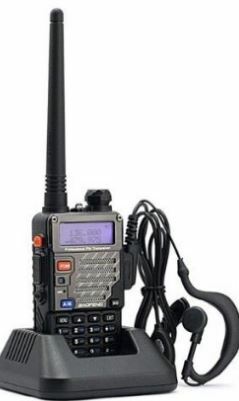 Hello, I bought a BaoFeng UV-5R 65-108 MHz Dual-Band Ham Radio from Amazon, but the program disc that came with the cable will not load or work properly. How do you program in the channels? Like GRMS/RMS 462.6125? Thank you in advance. Use the CHIRP program. There is a link to download the software and tutorial videos that will help you get your comms up. David, most definitely use the CHIRP programming software. There is a bit of a learning curve with this software, but it works with many radios and it allows the sharing between those radios. I have four Baofeng UV-5Rs, one Baofeng UV-82C, one Baofeng BF-F8+, one Wouxun KG-UVD1P that I personally own and a Wouxun KG-UV6D radio that is issued to me by my county emergency management agency since I am their Communications Team Leader, and I can do all of those radios listed with this one software and not have to re-enter or re-type in the information. I am also getting ready to use this software on my Icom IC-2100H radio. CHIRP programming software in my case makes my radio programming very easy. I use the daily build version of this software as it is fully supporting all of the radio’s that I currently have whereas the stable build version does not support all of these radios. David, if you need any help, manuals, resources regarding the UV-5R, let me know. I can program, send you instructions, give you whatever resources you need. Today I saw on the Catastrophe Network showing channel 4 being the channels used for FURS/GMRS, CB and MURS with TAPRN support. Is there a misprint somewhere, a change made or misunderstanding?? I have noticed that also Bill. TAPRN’s appears to have gone bye-bye and their website also reflects that is it no more. Sounds like AmRRON and Catastrophe Network could look at each other and work together maybe and that is entirely up to John on getting a agreed upon standard worked out. I was not aware of the Catastrophe Network until I read your comment. I was a member of the TAPRN as I was getting their emails, but they have long since stopped. 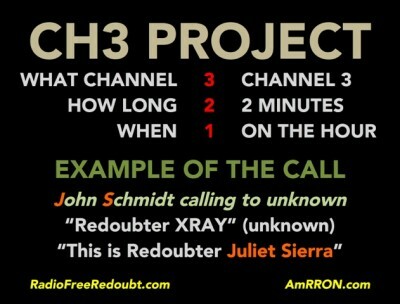 Just made an interesting contact on ch 3 CB. 11:00 am. Don’t recall his call but it was similar to what we would do with AMRRON. He gave me a call sign and signed off as part of some project. Wish I could remember what he said, but I was mobile and not able to write anything down. Anyone else have a similar experience? most of the bubble pack frs radios have there group tones and most are pl but not all, you can set to none which will allow the best chance of separate brands to work together. group or channel guard or privacy or what ever the brand wants to call it will not always match by name. I have seen some where the channel numbers do not match also. Hello I currently own a baofeng uv-5x and have downloaded CHIRP to my computer. Can anyone help me figure out what frequencies to download? Every wants to be a boss and act important. Tarpan, AmRRON, Catastrophe Network, ETC… They are not important and nobody cares about them. Nobody wants to learn some groups protocols and nobody is going to use them in an emergency. I think anybody that really wants to make a dent with emergency communications and promote Emergency Prepper Communications should contact REACT (Radio Emergency Associated Citizens Team) and see if they would be willing to broaden their horizons and their radio usage of the radio spectrum, This would probably also get more people monitoring CB Emergency Channel 9. They have been around and well established for the better part of a half a century or more. Although they are primarily involved with CB, they are more than well established. Wow! Some people are so ignorant of how much they don’t know… and then they open their mouth. I think the good folks at REACT would be appalled to see one of their advocates representing their excellent network in such an offensive way — Offensive against others who are working so hard to develop standardized plans for us to stay connected (and who have proven track records of doing so in past disasters). There’s no competition or adversarial relationship. We’re all on the same team… or at least most of us are, apparently.